Storage is a universal need, as important to industrial manufacturers as it is to small-business retailers with limited inventory space or libraries with more books than staff members know what to do with. But there comes a time when businesses and organizations must ask: What do I do if on-site storage isn’t enough? Before you consider moving materials off-site to storage containers or investing in a whole new facility, we challenge you to ask yourself a different question: Why isn’t your on-site storage enough? No one spends incredible capital on off-site storage without good reason to. 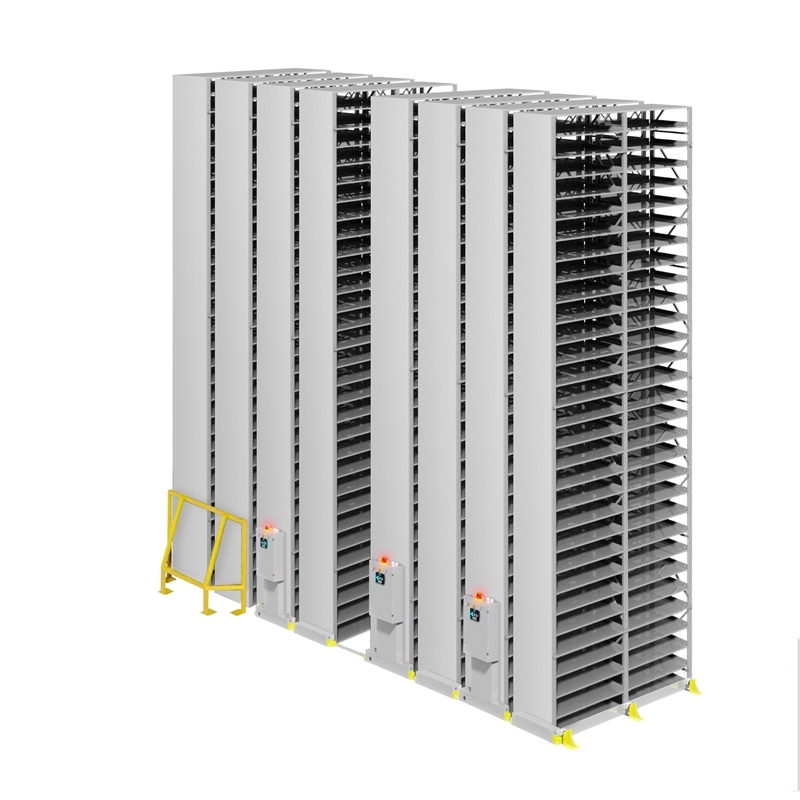 But jumping right to off-site storage as a solution to on-site storage issues fails to address the real problem: inefficient, inflexible shelving options. Let’s use libraries and library storage as examples. One library, compelled by an evolving media environment, now has a greater need for computer labs and communal spaces than ever before. So after conducting resource analysis and developing a responsive archival/retrieval system, this library decides to move a large portion of its collection off premises, giving patrons new resources without depriving them of valuable information. In this way, off-site storage makes sense, right? Well, that depends: Did decision-makers at that library first weigh the benefits of a high-density storage system for on-site operations? Mobile shelving can reduce storage footprints by 50 percent, thus maximizing the space adopters already own and pay for. It’s entirely possible, even probable, that the one-time installation of a mobile shelving system would not cost nearly as much as constructing, maintaining and powering an entirely new off-site storage facility. If storage users can help it, they’re far better off investing in smarter shelving solutions that keep their resources close by rather than at remote warehouses. Off-site storage requires advanced cataloging and logistics networks designed to transport resources between facilities and central hubs. More importantly, these processes have to run like clockwork. Otherwise, retrieval or restocking problems will outweigh the value of freeing up space at the main headquarters. If, for example, retail managers with off-site storage cannot check on off-site inventories or quickly truck in goods that are out of stock, they will miss opportunities to capitalize on hot trends and turn a profit. Without these frameworks in place, it’s better to optimize on-site storage with custom mobile shelving than to risk hurting your business or organization in the name of helping it. More efficient on-site storage keeps everything under one roof and limits the amount of change necessary to adapt. Are storage containers worth it? Of course, there are other options available for off-site storage. The question is whether they’re as beneficial as storage users need them to be. One popular option – though we certainly don’t know why – is the storage container. One pricing study found that storage container rentals could cost anywhere between $50 and $500 per month or more, not including delivery and pickup costs, which vary according to the renter’s proximity to the rental company. Modifications, such as insulation or refrigeration, will drive up prices, and the best deals force renters into multiyear contracts. And for what? A big empty metal box that could run you hundreds of dollars every time you want to pull materials, merchandise or equipment from it? 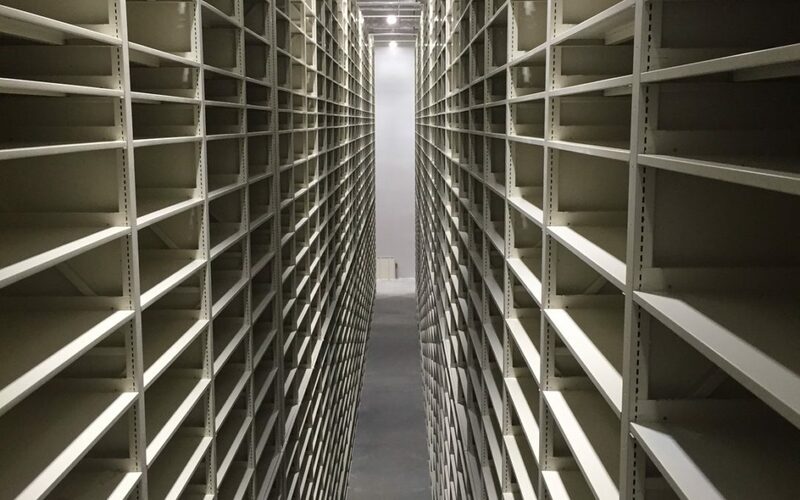 Instead of throwing that money down a hole, organizations should put it toward custom on-site high-density mobile shelving they can use to store what they want as they want and access it whenever they want at no additional cost. Mobile shelving scales sensibly: High-density mobile storage allows users to grow without wasting space, taking advantage of every cubic foot and upholding good organization. Mobile shelving changes with you: Mobile shelving systems from Montel require no tools or technicians to adjust. When inventory needs evolve, so can storage with minimal effort. Mobile shelving offers diversity: Installations can be customized to include cabinets, lockers, bins, dividers and virtually anything else users could need. Ask your local Authorized Montel Distributor about how you can build a mobile shelving system all your own. Mobile shelving makes room for success: No off-site storage facility is 100 percent storage. By optimizing the off-site storage footprint at all times, mobile shelving users save space for other necessities like offices and meeting areas. For more information on whether you need manual, mechanical-assist or powered mobile shelving for your off-site storage facility or high-density industrial mobile racking for your warehouse, or contact us today.